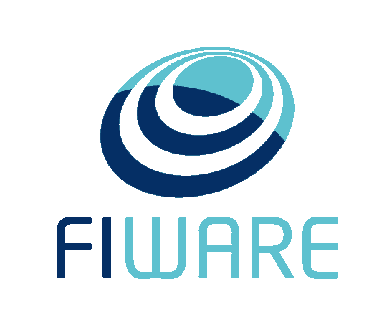 FIWARE is an open source initiative defining a universal set of standards for context data management which facilitate the development of Smart Solutions for different domains such as Smart Cities, Smart Industry, Smart Agrifood, and Smart Energy. In any smart solution there is a need to gather and manage context information, processing that information and informing external actors, enabling them to actuate and therefore alter or enrich the current context. The FIWARE Context Broker component is the core component of any “Powered by FIWARE” platform. It enables the system to perform updates and access to the current state of context. 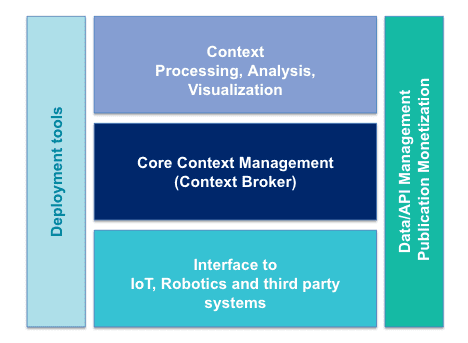 The Context Broker in turn is surrounded by a suite of additional platform components, which may be supplying context data (from diverse sources such as a CRM system, social networks, mobile apps or IoT sensors for example), supporting processing, analysis and visualization of data or bringing support to data access control, publication or monetization. All interactions between applications or platform components and the Context Broker take place using the FIWARE NGSI RESTful API – a simple, yet powerful open standard. Supporting subscription/notification, geo-queries, federation, pagination, … and soon support of Linked Data! The open standard nature of FIWARE NGSI offers programmers the ability to port their applications across different “Powered by FIWARE” platforms and a stable framework for future development. Additional functionality can be easily added to a Smart Solution simply by using additional FIWARE or third-party components for which the integration with the FIWARE Context Broker component is solved. This integration is simplified since all components comply to the FIWARE NGSI standard interface, which eliminates vendor lock in. The component-based nature of a FIWARE based solution allows for re-architecting as the solution evolves according to business needs. Do you want to try your first FIWARE application? Willing to contribute your technology to FIWARE? How to extend a solution powered by FIWARE? In addition, the FIWARE platform brings a number of Deployment tools easing the deployment and configuration of FIWARE or third-party components and their integration with FIWARE Context Broker technology. However, FIWARE is not about take it all or nothing. You are not forced to use these complementary FIWARE components but other third platform components to design the hybrid platform of your choice. As long as it uses the FIWARE Context Broker technology to manage context information, your platform can be labeled as “Powered by FIWARE” and solutions build on top as well. FIWARE components go through an extensive set of Quality Assurance (QA) tests run by dedicated members of the FIWARE Community. This way, you may gain trust about the status and maturity of any FIWARE component. 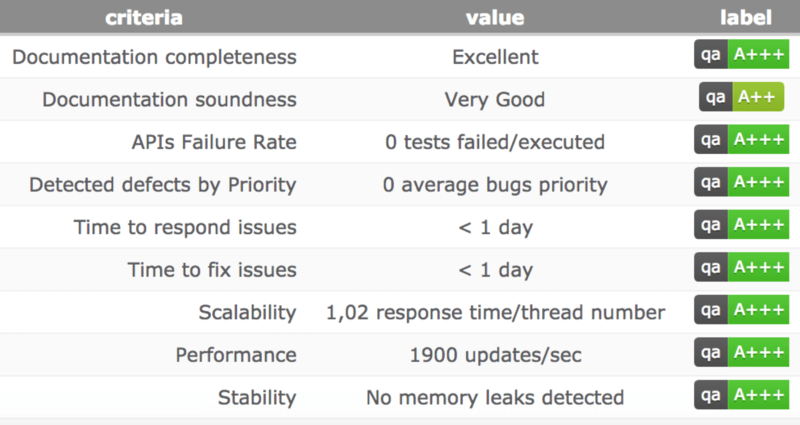 QA tests are not only functional but cover performance testing as well as quality of available documentation, training objects, etc. Just check-out the QA labeling assigned to each of the FIWARE components. FIWARE is becoming the open source platform of choice for designing the Reference Architecture of Smart Solutions and Platforms in multiple application domains. Developers can access the code which is available on GitHub and develop their first applications following the steps recommended on the FIWARE Tour Guide, downloading and tweaking the FIWARE Tour Application, or getting further training through the FIWARE Academy. The FIWARE Lab will also help to setup a temporal or more stable Cloud infrastructure where you can play and experiment. However, before exploring all these resources we suggest you first start building your first simple FIWARE app. Check out the tutorials and learn how. You can ask questions on StackOverflow, but if you don’t feel comfortable using that forum, you can use the technical help desk.